To see smoke blackness for ourselves, the Carver Fire Department let the NBC Boston Investigators experience a live burn inside their new training facility. They train in burn rooms and a room that fills up with "mechanical" smoke to sharpen their skills. When firefighters rush into a burning building, it’s often the smoke and not the flames that is their worst enemy. "It’s thick, black, toxic, and zero visibility," Carver Fire Deputy Chief Eric Germaine says. 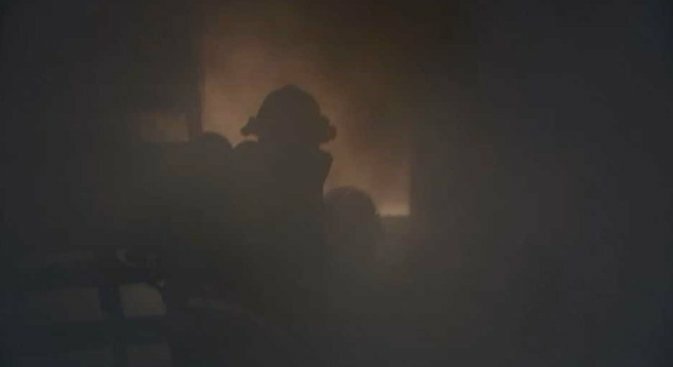 To see that blackness for ourselves, the Carver Fire Department let the NBC Boston Investigators experience a live burn inside their new training facility. They train in burn rooms and a room that fills up with "mechanical" smoke to sharpen their skills. "It’s like turning the lights off in a room or waking up in the middle of the night with no lights on," Carver Fire Chief Craig Weston says. Disoriented, firefighters can lose sight of each other, victims or the way out. "And the deeper we get into a building," Weston says, "the more chaotic that can get." In the mid-90s, thermal imaging cameras came onto the scene. The cameras help firefighters scan a room without needing to feel out every inch by hand. "All of a sudden, the lights come back on," Weston says. "And you can now see. Now I can recognize a bedroom, a body. We can make a quick attack, a quick rescue, and get anyone who’s trapped or missing out right away." But to see — so to speak — the firefighter needs to be holding the camera. "While you’re trying to crawl, while you may be carrying an ax or a halogen," Weston says. "And it becomes very heavy and very tiresome in the building." Phil Tammaro, who survived being severely burned as a child, grew up to be a firefighter. The cameras are also expensive, and most departments have one per truck, not per firefighter. At the Worcester Cold Storage Warehouse fire in 1999, only one responding crew had a camera. It malfunctioned and they were unable to find the six trapped firefighters in time. Weston shakes his head. "We’re going into an atmosphere that is unfriendly that could kill you in seconds." Carver has seven handheld cameras, and they range in price from $8 to $18,000. They’re testing three Scott Sight cameras. 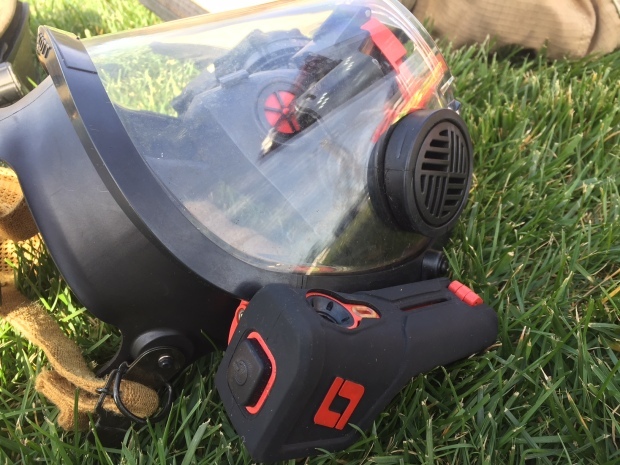 They are completely hands-free — attached directly to the firefighter’s mask. The monitor is about the size of a postage stamp and is inside the mask for the firefighter to continually scan the room. The Scott Sight cameras operate on four triple A batteries. And Weston says at $1,800 they are affordable enough for every firefighter to conceivably have their own. “Locating people faster, getting people out of that hostile environment faster and saving lives," Germaine says. 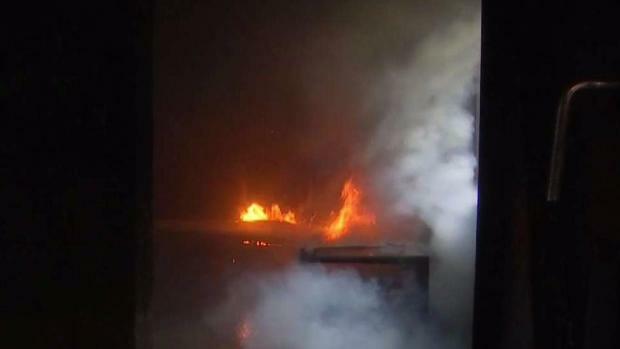 How your home is built could be fueling a fire, and you have less time now to escape your burning home than you would have years ago. A handful of departments and the Massachusetts Fire Academy are testing the cameras and providing feedback to the company. So far, a spokeswoman for the state Department of Fire Services tells us the reaction has been positive.